Children’s Legal Centre, University of Essex, Prof. Carolyn Hamilton, Kirsten Anderson, Ruth Barnes, Kamena Dorling. This research was done in partnership with UNICEF, looking into the practice of administrative detention of children, that is where the detention is not judicial and has not been the decision of a judge or court but rather a body or professional who is connected to the executive branch of government. 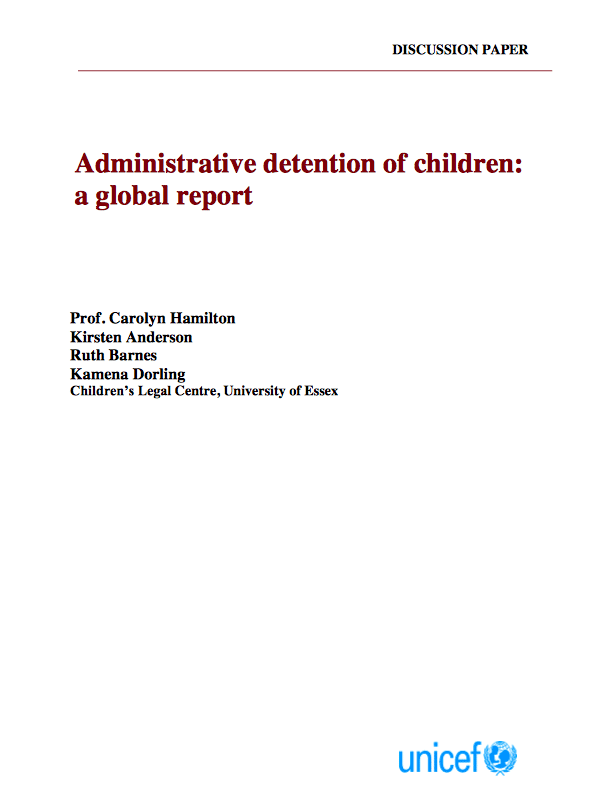 The research covers to what extent this kind of detention is used worldwide, the context and circumstances in which children are detained, the legal framework that puts children in detention, international human rights law and the impact of detention on children.